When we say 'RAma' (Śrī Rāma), then it means we are talking about the most perfect incarnation of God or God himself in human form as a Young charming prince of Ayodhya or the Supreme personality of godhead. Madhvacharya says — "Ram literally means the supreme bliss, Ram means the 'Brahman' (the absolute, the supreme element) as well as Ishwara (the god with form) Both". In simple words Ram is the supreme cosmic spirit, all pervading, the embodiment of all souls and thus the ultimate consciousness. And as Ishwara ( denoted by Shri Ram the qualified Brahman with infinite attributes i.e. Śrī Rāma with form), he is mine of infinite auspicious qualities, the original source of supreme bliss, the original cause of all the causes, the supreme refuge of all Jivas (individual souls) and hence the subject of worship for all Jivas. Thus, Ishwara ShrI Ram is Parambrahman endowed with infinite auspicious qualities. Shri Ram (Ishwara, supreme personality, the consort of Sita) is one and Jivas are many, Shri Ram is self-dependent and all Jivas are dependent. The triad of Ishvara along with the universe and the sentient beings is Brahman (the supreme, the absolute), which signifies the completeness of existence. Since Ishwara is the subject of worship for all Jivas, to be loved most, so Ram as the Lord of Ayodhya, the supreme personality unto whom one should take refuge should be the subject of worship by all, and the main focus here. In words of Vedavatar Shrimad Valmiki Ramayana — Shri Ram is the sun of sun (Maha-Surya), the fire of fire, the god of god, the supreme unchanging element, perfect, omniscient, omnipresent, incorporeal, supremely independent, the ruler of even those who govern all, Prabhoh-Prabhu, the eternal Maha-VishNu, the supreme Paratpar (higher than the highest) Brahman. So everything exists in Sri Ram, and Sri Ram pervades everything. He is Ishwara as well as Brahman itself. 'Rama' means Brahman, and 'Ram' means Ishwara. “On this earth, neither before (in past) nor after (in future) there would be a King as Neetiman (statecraft, paragon of virtuosity, nobility, principled) like Sri Rama; by his virtuosity, (let alone human) even monkeys (which are thought to be uncivilized) gladly became his servants for forever (i.e. they gladly accepted Sri Rama as their eternal King)!” . What a charm Shri Rama has, His captivating look and charm made millions of (seemingly uncontrollable) monkeys being controlled, and clung around him, that too without any effort! Shri Rama is so beautiful, so attractive that both young and old women pray devoutly for illustrious Rama. His charming eyebrows, red-lotus eyes, his broad chest, and his everything else, all are captivating! “Śrī Rāma, who enchants all in all the worlds, has beautiful eyebrows. He has red and broad eyes. He is absolutely like the Mahā-Viṣṇu himself in strength, heroism and valour ”. “Both young and aged women prays devoutly invoking at dusk and at dawn (each morning and evening to) all the gods, for the sake of illustrious Rama”. Be it Naam (name, नाम) or form (रूपं), or Leela (exploits or pastimes, लीला ) or Abode (धाम) of Lord Rama, it is higher than the highest (ParatPar, परात्परम् ). Shri Ram is the most attractive, the most beautiful, the most virtuous, the most Valiant, the most compassionate, the most merciful, the most fit to be taken shelter of in all the worlds, the supreme refuge for everyone, the Dharma-personified (the embodiment of Dharma), the protector of whoever surrenders to him and his people, the most truthful, the possessor of the most beautiful and noble character and extremely mild disposition, and the mine of infinite auspicious qualities. If the word Purushottama becomes real in anyone, then he is Sri Rama alone! Is there any such hero like Shri Ram? Simple answer is No. No other personality or divinity can come close to Shri Ram in any manner; he is the culmination of all the best virtues and qualities. All divine transcendental qualities are found to the full extent in Śrī Rāma alone, and those all divine qualities collectively can't be found to the full degree in anyone else except Paratpar Brahman (Paripurntamam Bhagavan). No one can be as much beautiful or attractive as like Supreme personality of Godhead Śrī Rāma. The all attractive transcendental beauty of Lord Rama is just matchless. Similarly divinity & matchless-glory of his name "RAma" is incomparable to any other name of God. Valmiki Ramayana which is the primary source to know about Śrī Rāma and his story, says that all attractive Śrī Rāma is none other than the most superior God, also known as Maha-Vishnu or Maha-Surya or Maha-Shakti. “He is like a sheltering tree to the virtuous, he is the ultimate (supreme) refuge for the destitutes and a protector of the distressed. He is the only personality who deserves to be famous”. Bhagavan Śrī Rāma says to Parashu-Rāma: “Rāma never aims his arrow twice! (means 'in one go, he can destroy his enemy or target completely'), Rāma doesn't establishes his Ashritas (those who are completely dependent on him) twice! (means 'He gives Abhayam [complete fearlessness, makes one completely free from all fear, worries, and anxiety etc] to his dependents, no god can depose his Ashritas once installed by Rāma), Rāma doesn’t give twice to any seeker! (means Rāma bestows so much in first seeking itself that seeker doesn’t need to look anywhere else thereafter! ), Rāma never speaks anything twice! (What is said is said. No one in entire cosmos can change that!)”. 1. He should be able to maintain, sustain and protect Those who come in his refuge! 2. He could fulfill the desires and wishes of his dependent! And thus, Rama has all these qualities in full, he gives ultimate protection and fulfill all desires and wishes of those who comes in his refuge! Lord Rama is known by various others names like Raghav, Ramachandra, Ramabhadra, Rajivalochan, Rajivanayan, etc, all these other names of Shri Rama are also greater than all the Vedas, Yet his eternal and the most superior, the most divine and beautiful name is 'Rama' (राम). In beginning of Shri Valmiki Ramayana, Sage Valmiki enquired with Narada about the personality with 16 attributes [i.e shodash-kala-Purusha]. 1) Param-Aishvarya (Supreme Lordship): The universal hero should be Param-aishwaryavAn (means the one having supreme Lordship), the one Lord of all beings. The qualities of Shri Rama such as samarthah (All-capable, capable of doing everything), MahAvIryO (of incomprehensible prowess), dyutimAn (self-resplendent), bibhyati devAh (from whom even gods fear, let alone foes, when exited to wrath), vashii (supreme controller of everything), Rakshita-Jivalokasya (the protector of all living beings), dhaataa (the sustainer of all the worlds), etc shows his Param-Aishwarya (supreme Lordship). * 'bibhyati devAh - from whom even gods fear, let alone foes, when he is excited to wrath' is for telling his Param-Aishwarya over all others. It doesn't mean Shri Rama causes fear to others, in fact Shri Rama is the delight to all in all the worlds, He is very Saral (gentle, soft, tender, simple) and Saumya (calm, pleasing, tranquil), whose full-moon like countenance constantly drips nectarine bliss to whole world. He is equal to mother earth in forbearance and forgiveness, and doesn't remember anyone's fault [ansuyakaH] or any number of bad things done to him. Yet, certainly they would have to fear who wish to do bad to his devotees, be it anyone, even gods. Even though he has equal disposition towards all [sarva-samaH], still to uphold the rule of love, to protect his devotee(s), he shows anger in which he can become the cosmic-fire, or Narasimha (man-lion incarnation), the death of even death, then even gods fear from him to give shelter to the offender of his dear ones (devotees). This is the reliable feature for the adherers of Shri Rama who seek refuge in him that Shri Rama loves them so much. Shri Rama has done the most solemn pledge in Valmiki Ramayana as an assurance to all - “He who seeks refuge in me telling just once 'I am Yours. Oh Rama!' then I give him Abhayam (i.e. complete fearlessness, another meaning of Abhayam is liberation , as in liberation alone a Jiva is completely free from all fears, worries and anxiety) from all types of beings”. “Ordinary Lords of the world get angry just by listening to some fault on the part of their servants (they do not even bother to verify it); But Rama never even in dreams, took to heart even those faults (of His devotees), which He himself had been witness to. 2) Param-Madhurya - The qualities of Shri Rama such as sadaik-PriyadarshanaH (who gives constant delight to everyone by his look, beauty in each and every moment), dhritimaan (the one who is sublime bliss personified to satisfy others), Sarvalokapriya (dear to all in all the worlds) etc shows his Param-Madhurya (supreme sweetness). 3) Charitrvaan - A hero is adored, and respected by all when he has a noble character. The qualities of Shri Rama such as ChAritravAn (of noble conduct), GunavAn (the abode of all qualities and virtues), satya vaakyaH (always truthful, never deceiving anyone), dhridh-vrataH (Of firm resolve), anasuuyakaH (free from finding fault in others), sarva-samah (having equanimity towards all Jivas, discriminating none on the basis of caste, creed, race, etc), Kritagya (the one who remembers even the smallest things done ever to him, [and never remembers any number of bad things done to him by anyone]), dharmagya (always righteous and knower of dharma in its entirety), etc shows his noblest sublime character. Shri Rama, the most compassionate Lord : Bhagavan means compassion personified, which is predominantly seen in Bhagavan Shri Rama alone. He is most compassionate, most merciful and kindest Lord. Shri Rāma, the best in Gāndharv-kalā : Gāndharva-Kala is the arts of playing music and dance. Shri Rama is best in dance and music also (which indicates Shri Rama is the expert of Rasa dance). Shri Rama is the all beauty-elegance-and-charm personified, He is sarvang-sundar from head to the tips of the nails. He is lokabhirama (रामो लोकाभिरामोऽयं - the enchanter of all the worlds) in every manner. Shri Rama always speaks sweetly and softly with all living beings (प्रियवादी च भूतानाम् सत्यवादी च राघवः ॥ [वाल्मीकि रामायण २.२.३२]), He himself initiates conversation (as respect given to all) with loving words (स्मितपूर्वाभिभाषी च - [वाल्मीकि रामायण २.२.४२]). Shri Rama is Saral (gentle, soft, tender & simple) and Saumya (pleasant, peaceful, calm, & tranquil) and lokabhiram (the delight to all in all the worlds). He is the ocean of all qualities and virtues and character. He is the compassion-personified, a truly complete and perfect personality in every sense. 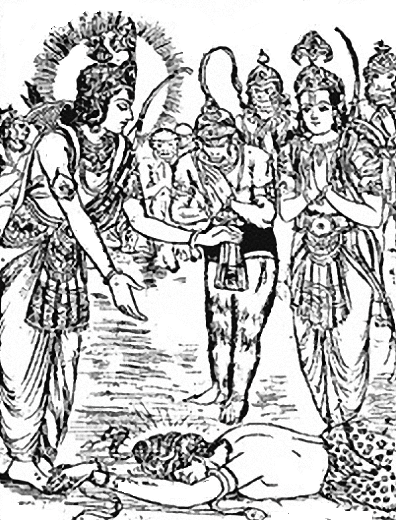 Sri Ram (Rāma) is celebrated as the perfect ideal hero in Rāmāyana, the first epic poem of the world. No one can find any such hero in any other history of world. Only the followers of Vedic-Dharma can proudly claim that they have a hero like Shri Rāma who has no match in whole world. In Valmiki Ramayana and Vedic-scriptures, Shri Ram is celebrated as the Supreme personality of godhead - The complete personality who himself descended as the prince charming of Ayodhya to teach the world how to lead a righteous life by presenting the example of his own life, to establish the highest form of Dharma, to liberate the earth from evil demons and to impart the supreme bliss to his devotees. If there is god (Bhagavān), then He can be most completely presented before everyone as Shri Rama, alone. How? Upon considering these Inclusion (assertive statement — Vidhi-Vakya) and Exclusion (Negation — Nishedha-Vakya), Only Shri Rama perfectly qualifies to be called God or Bhagavan in true sense, no vile quality is ever seen in him ! 1. Shri Rama has the supreme Lordship, he is worshiped by even his incarnations and gods like Shiva etc, He took out the Vaishnavi-splendor of Parashurama. 2. He is second to none in his valor, he is the most valorous one, whoever challenged him got defeated ! 3. His Yasha (fame, glory) has been sung in millions of scriptures, one billion Ramayana-s are solely dedicated for one personality i.e. Shri Rama alone, one can't find more than one or two arsha-texts solely dedicated for any other personality 4. He is the possessor (consort) of Bhagavati śri (Sita) 5. He is all-knower, omniscient and 6. Though being supreme ruler of the cosmos, he is the most ascetic personality (renunciation). Therefore BrahmA in Valmiki Ramayana said to this extent "None other than You, O' Rama, can be worthy of all eulogies, praises and fame." 1) Shri Rama liberated Ahalya just by mere the touch of his feet, this showed the nature of his being the supreme one. 2) Sri Rama took out the Vaishnavi-Splendor from Parashu-Rama, and thus ParashuRama was rendered vigor-less. This shows Shri Rama is Swayam Bhagavān (the original personality of godhead, and the fountain of all incarnations), and all other incarnations are his amsha (parts) and Kala (the parts of the parts). 3) Sri Rama killed the demon king Ravana who was not even killed by Vishnu's Sudarshan Chakra. Thus after killing Ravana, Shri Rama restored the glory of Vishnu again in the universe. That's why Ramayana says, Shri Rama is Vishnorardham means "Vishnu ko Bhi Riddhimaan Karne Vale" which means Shri Rama is the personality who restores the glory of Vishnu or gives glory to even Lord Vishnu. 4) All merciful Śrī Rāma bestowed his supreme Mādhurya abode, Sākēt-Lōka to innumerable Jivas (souls) from an ant even to straw, to those who were never seen in his service - just followed him few steps in the end, who had gathered in Ayodhya from all parts of the earth. Sri Rama is the only personality in history who gave liberation to whole Ayodhya and brought all the citizens of whole Ayodhya and innumerable other Jivas, in the Santanik-Loka (a vana full of Madhurya namely - Santanik-vanam) which is within the supreme abode of Para-Brahman i.e. Saket Loka. Such leela is shown by Shri Rama alone, not by any other god or incarnation. This is supreme generosity of Lord Shri Rama. Only the most superior personality can do this out of his supreme mercy and affection on ordinary souls. whether one is a demigod or a demon, a man or a creature other than man, such as a beast or bird, all should worship Lord Rāma, the Supreme Personality of Godhead, who has a form of human being. There is no need of great austerities or penances to worship the Lord Rāma, He becomes easily satisfied even from a small service done to him (such a compassionate lord he is. Thus He is satisfied, and as soon as He is satisfied, the devotee is successful.). [Indeed, No one can match his compassion towards his devotees, that] Lord Śrī Rāma brought all the citizens of Ayodhyā back to his divine abode Saket Loka, the supreme Madhurya-abode. Such a great Lord Rama is who accepted everyone be it god, demon, human, beast, bird or anyone else, and brought all to supreme abode ! Everyone should worship Lord Rama as instructed by Bhagvata-MahaPuran, with all love. 5) As Hanumana described about the supreme opulence of Rama to Ravana that just don't take Shri Rama mere a human, he is very much capable of annihilating all the worlds again and again and create them over again in exactly the same manner. Can we find such a highly glorious praise for any other personality apart from the supreme personality of godhead? If Bhagavan wishes, He can destroy even greatest of demonic army by mere his will, but then there would be no playful efforts and leela to be rejoiced by his devotees. He is sportive, and to recognise a personality as Bhagavan, He should have incomprehensive valor means second to none in his prowess. Param-Viryam Guna is predominantly visible in the hero of Ramayana. Shri Rama is the only personality in history (Ramayana and Mahabharata) and other scriptures, who never shown his back in war. Thus Purusa or Paurushatva (Param-vIrya) culminates only in Raghunatha and it is predominantly visible in Shri Rama alone. Shri Rama killed single-handedly 14000 dreaded demons in Dandakaranya in no time. Again, during Rama-Ravan Yuddha, Bhagavan swiftly and single-handedly killed a very fiercy army of around 2.5 lacs dreaded demons. 1) Shri Rama has been the symbol of all auspicious qualities a perfect man - a complete personality should have. He is renowned for being ideal obedient son, ideal-disciple, ideal-husband, ideal-brother, ideal-friend, and more than all these, an ideal-king a nation should have, and a virtuous benign all loving Svami (master) of the cosmos. Goswāmī Tulsīdās Ji says — ‘Śrī Rāma is supreme, potent, proficient and adept in all possible ways’— this is declaration of all wise and learned people. The Lord strived daily to live up to his vows of righteous conduct, probity and propriety which are expected from a great Lord. Lord had truly lived up to that immaculate reputation in a perfect manner. For this Supreme Lord Shri Rama sacrificed his own pleasure every time for the pleasure of his people, and lived up to his exalted stature and its incumbent reputation, to uphold his own vows, and to be always vigilant towards his responsibilities as the Lord of this world. Shri Rama truly lived up to the exalted stature suiting to a great Svami of the whole world. Shri Rama is Puroshottama ( पुरुषोत्तम , the complete personality - the best among all men) in real sense, without a bit of exaggeration. Thus, Rama alone can be the most perfect hero and Bhagavan to be adored by the whole humanity. 2) Even among his enemies, Shri was celebrated as a righteous man. Even his enemies were praising his righteousness (Dharma), vIrya (supreme valour) and Param-Madhurya-Guna (ultimate sweetness, charm). Not even an enemy talks bad about Shri Rama, even they fall in his love. 3) When Shri Rama ruled this earth, whole earth became the Rama's world. No one was interested in anything other than Rama and Rama alone. 4) Shri Rama is not just renowned for being the supreme god among the followers of Vedic-Dharma, He is also popular for his pure spotless character. Padma-Purana says:'चरितं रघुनाथस्य शतकोटि प्रविस्तरम । '(Charitam Raghunathasya Shatkoti Pravistaram - Padma Purana, Patal Khand) means 'the spotless fame of Lord Rama's exploits has been sung in 100 crore (one billion) Ramayana-s'. Though due to evil effect of Kaliyuga, only few Ramayana-s are available to humans in this age of Kali, however even the number of those available Ramayana-s exceed the number of scriptures which may be credited to all other deities. Is there any such personality or deity whose fame is so much widely celebrated and sung as like that of Lord Rama? Certainly no! 1)Lord Śrī Rāma is the possessor of Śrī (all attractive beauty, Youngness, pure character, Dharma, riches, etc ) in full (infinite) degree. He is the perfection of all pure auspicious qualities. - All attractive beauty: Shri Rama has all attractive beauty which attracts even men, then what to say about woman. Leave aside common men-women, even brahm-realised sages to demonesses lost their senses and became lustful seeing the all attractive beauty of Shri Rama. Just behold for one second the eternally young handsome prince Rama in his princely attire or in his Vanvasi-Saumya Rupa, one may forget very own self. - His leela (pastimes) has a flow of nectarine beauty, and completely unblemished; singing his leela (pastimes), his name not only purifies all kinds of contaminations and griveous sins of this world, but also bestows all desired rewards of a human life. 2) Śrī Rāma is the consort of Śrī (Bhagvati Sita). When Shri Rama was ruling on earth, then people were engaged in virtue and lived without telling lies, without having greed, and thus totally satisfied in Rama's rule. Obviously when supreme personality himself ruled this earth, ] earth was fully satisfied. That's why all give example of Rama-Rajya (rule of Rama on this earth). 3) As per Valmiki-Ramayana, when Aadi-Purusa Śrī Rāma himself incarnated as prince of Ayodhya. All prime forms of Bhagavan Vishnu (i.e. Vishnu-s of Vaikuntha, Ksheer-sagar, and Svet-dvipa) incarnated as younger brothers of Lord Rama to do service of their superior, the original personality of godhead (Śrī Rāma). This shows that Aadi-Purusa (the primeval god) is the most superior and served by his expansions in love. From various scriptures, it can be established that Shri Rama's brothers : Lakshamana, Bharata and Shatrughna are none but Sankarshana (Shesha, the residual of Shri Rama), Pradyumana, and Aniruddha (the Vyuha forms of Vishnu, the expansions of Vasudeva who is Rama). 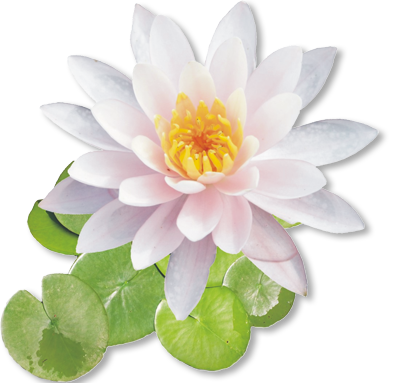 Vasudeva is a general name for Bhagavan in scriptures because his being all pervading. 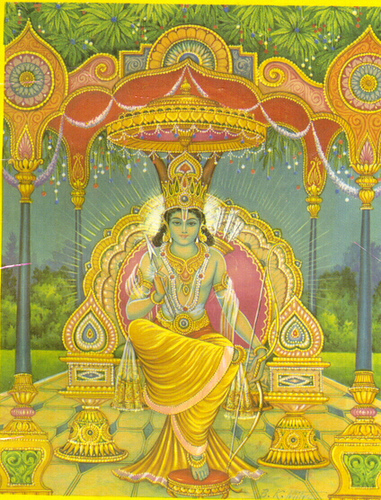 Bhagavan Shri Rama is called Paratpar-Vasudeva in Padma-Purana, and also refered as Vasudeva in Shrimad Bhagavatam. 4) Except Lord Rama, none else has a servant like Hanuman ji, a Vaishnava-devotee like Lord Shiva, a brother like Lakshmana, and a wife like Sita. Shri Rama is the god of gods, the god of BrahmA-Vishnu-Shiva. The prime form of Lord Sada-Shiva is Hanuman Ji who is the best amongst the servants of Lord Rama. In Padma-Puran, Lord Shiva himself accepts Lord Śrī Rāma alone is his Ishta-Deva, and He completely surrendered in the lotus feet of Shri Rama. Thus, Shri Rama is the possessor of the best of everything in the world. Shri Rama knows everything, सर्व शास्त्र अर्थ तत्त्वज्ञो - He is the knower of the meaning and essence of all the shastra (scriptures), he knows Dharma in it's subtle form. Shri Rama has been proclaimed as Vigrahvan Dharmah means who is the embodiment of Dharma. It means Sri Rama was the knower of the subtle form of Dharma which is known to Param-J~nAna swarupam Bhagavan only. How would he use his Dharma, no one can understand entirely apart from him. Sri Ram in his heart knew well that only Hanuman Ji would be able to find Sita, therefore He gave his mudrika (ring) to Hanuman alone! Sri Rama had already given his words to Sugreeva and Vibhishana, even before killing Vali and Ravana respectively, he declared them king of Kishkindha and Lanka respectively. This shows Shri Rama is the supreme controller of time, and He had knowledge of Past, present and future (the omniscient lord). The supreme personality of godhead has nature of being completely free from any material desire. Param-Vairagya Guna has been clearly seen or predominantly visible in Lord Rama. There are many instances where Sri Rama showed his Param-Vairagya Guna like happily leaving the kingdom of Ayodhya just for keeping promise of his father towards his step mother. He gave up instantly all the opulence and luxuries of his Sur-durlabh Rājya-lakṣmī (of the most divine city Ayodhya, the eternal Puri of Brahman) which is most difficult to renounce for others and is always desired earnestly by even the great personalities and demigods. Can one imagine that very next morning Sri Rama is going to be coronated as the prince (heir) of Ayodhya and even all citizens, courtiers, ministers, brothers are in favour of Sri Rama and they all want to see him coronated as soon as possible, however when Sri Rama heard the wishes of his step mother and the promise made earlier by his father to Kaikeyi, Shri Rama decided instantly without any hesitation to leave Ayodhya and go in exile to keep the promises of his father towards his step-mother (for Pitru-Saty-Vachana Palanay, Lord left Ayodhya very next morning). Sri Rama sacrificed all his comforts as well as the throne which rightfully belonged to him for his younger brother Bharat, and decided to spend the 14 years of his life in forests as per the wish of his step mother. Definitely he could have lived with all luxuries and comforts in Ayodhya as he was not responsible for the promises made to his step mother by his father, yet he chose to keep honor of the promises of his father towards his step-mother. Where one would see such a son like Shri Ram !? 2) Shri Rama won the golden-Kingdom-Lanka and treated it as a mere golden-ring and gifted it to Vibhishana (and felt in his heart he has not given something enough to Vibhishana), and same way He gifted the kingdom of Kishkindha to Sugreeva. Thus, all 6 qualities are full and complete in Lord Rama. The word 'Bhagavan' is primarily attributed to Rama by scriptures. He is the Purusha of Vedas, and Vedanta. 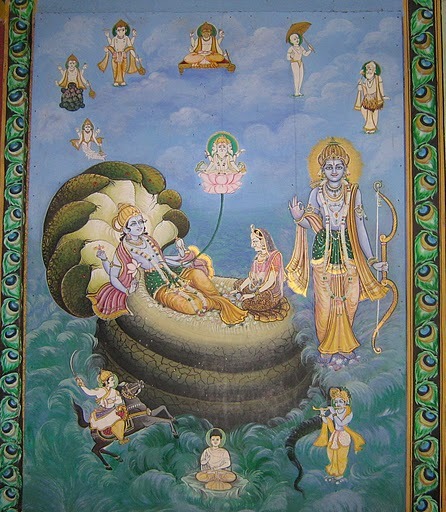 Apart from all above attributes which can be found to full degree in Bhagavān (God) alone, there is another attribute (virtue) of Rama which makes him very unique among his all incarnations. That attribute is his pure unblemished character which makes him "Maryada Purushottam". Apart from Rama, no one can hold the title of being "Maryada Purushottama". Shri Rama is renowned for one word (keeping his promises at any cost), one arrow (Rama-Baan, the infallible weapon of Sri Rama which never goes in vain, can eliminate anyone), and one wife (ek-patni Vrata i.e. devoted towards one wife only). 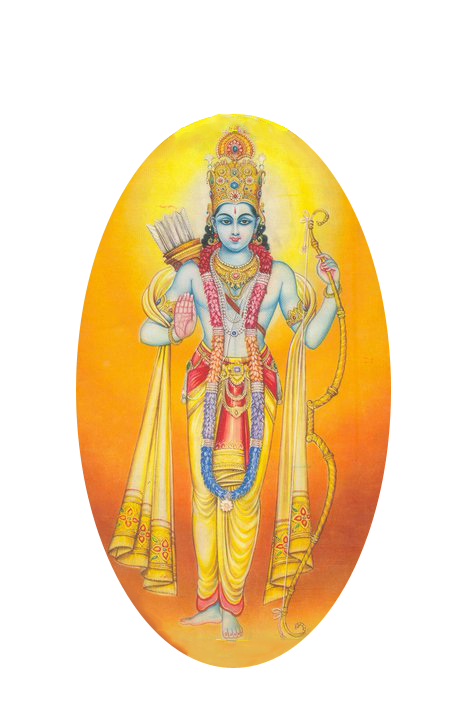 Sri Rama was the Chakrvarti-Samrat i.e. the king of the entire earth, the greatest empire, and that time it was a general practice among kings to keep many wives. Even Sri Rama could have married many princesses, but He was solely devoted to his consort Sita alone. Such pure character of being Ek-Patni-Vrata (devoted to one wife only, not thinking of any other woman in even dreams) can't be found in any other personality of this world or any other incarnation of Shri Rama as only Shri Rama has established the highest form of Dharma. In other words, one can say "Whatever Sri Rama accepted (in his actions), It became the virtue! whatever Shri Rama did, it became the highest form of Dharma". Qualities are termed as quality because Shri Rama adorns them, because they have found place in Shri Rama! Shri Rama never ever spoke any untruth. He never cheated any person. If someone has not a good character, then how can one claim that he is protector of Dharma? Whatever Shri Rama promised to someone, he delivered it. Shri Rama never ever gave a second thought whether the person who is seeking his refuge is a weak (e.g Sugriva) or strong, a demon (e.g. Vibhishana) or god, a man or woman, a beast or bird etc before giving his shelter of protection, be it man, woman, god, demon, animal or any living being. Only the Supreme Being can bestow Abhayam (complete fearlessness) from all types of fears, worries and anxiety. Such combination of perfectness in all pure, transcendental qualities and the pure character is found only in Shri Rama, and thus the word 'Bhagavān'- the original personality of godhead to Shri Rama primarily. Lord Rama is the original source of all Avtaara-s (incarnations of Lord Hari) and He is himself Supreme Personality, known as Purusa in Veda-s who is always situated in original ultimate form of Śrī Rāma-Rupa in the divine spiritual planet Saketa (Ayodhya) which is full of Supreme bliss of Brahman. Out of infinite incarnations or major 10 incarnations, there are 3 Poorna-avataras (पूर्णावतार ) or Purna-Brahman. Out of aforementioned 3 PoornAvtAra-s (पूर्णावतार ), both Shri Rama and Shri Krishna are glorified as Sarva-Karan-Karanam (means the cause of all the causes) and 'Svayam Bhagavān' (God himself) in Vedic-scriptures. Therefore, Shri Rama and Shri Krishna are known as Purntamam-Brahman (पूर्णतमम् ब्रह्म ), superior aspect than Purn-Brahman (पूर्ण-ब्रह्म ). Out of above two Purntamam-Brahman, Bhagavan Shri Krishna is counted as the manifestation (incarnation) of Bhagavan Shri Rama in Valmiki Ramayana, Krishna-Upanishad, Padma-Purana and other Vedic-scriptures. And Shri Rama is called Paripurntamam-ParaBrahman, as his nama, rupa, leela and dhaam all these four are called Paratpar (most superior). (a) Naam - Only the name 'Rama' is called 'Parabrahman' itself (राम नाम परमब्रह्म सर्व-देवाधिकम महत् । - पद्म-पुराण) in Vedic-scriptures and also known as Tarak-Brahm. Harit-Smriti says no Bhagavannama could become equal to Shri 'Rama' Naam as only the name 'Rama' manifests the capability to impart the supreme bliss and delight to even Bhagavati 'Shrii'. The name 'Rama' is chanted by great divinity like Lord Shiva himself with his consort Bhagavati Parvati. (c) leela - Bhagavan Shri Rama's divine leela is sung across one billion Ramayana-s. No one else has been sung so much as like Bhagavan Shri Rama. Valmiki Ramayana says Bhagavan Shri Rama sported with Sita and innumerable Parambhushita damsels in the most beautiful divine forest, Ashok-vanam, of Ayodhya, for a ten thousand Years. Same Shri Rama again appeared as Shri Krishna and did Rasa for 10 years in Vrindavana. (d) dhaam - Divine Veda names the divine abode of Purusha as 'Ayodhya' exclusively, which signifies the superiority of the divine abode of Shrimad Ramachandra over all divine abodes of Bhagavan, whoever comes to know this divine abode of Brahman 'Ayodhya' is granted immortality, and supreme bliss. Valmiki-Ramayana declares Shri Rama to be Ishta-Deva of all worlds (iShta sarvasya Lokasya Ramah, इष्ट: सर्वस्य लोकस्य रामः . Bhagavān Śrī Rāma is Rupa-sindhu (the ocean of all beauty-elegance-&-charm), Gun-Sindhu (the ocean of all virtues & qualities) and Sheel-sindhu (the ocean of intrinsically sweetest disposition and inherently noblest character), therefore he is the one Ishta for one and all-beings. Vedic scriptures say "there is no one even equal to Shri Rama, so what to talk of anyone being superior to him." Lord Rama is the original godhead among all incarnations, Śrī Rāma's Paratva (परत्व Supremacy over other forms of Brahman) is also more evident from the words of scriptures that Lord Rama has two arms in his eternal form residing in his supreme abode Saket-Loka and supreme Purusa of Veda is described as the two armed Para-Brahman (i.e. Lord Śrī Rāma). 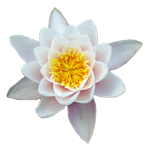 “Sthula-Brahman is the god with eight arms (i.e. 8 armed Vishnu) and is visible, but the form of Vishnu who has 4-arms is subtle i.e. He is Sukshma-Brahman but the God who is of two-armed (i.e. Lord Ram in his eternal form), is the most superior (परं च द्विभुजं रूपं). Therefore, one should worship the assemblage of god's three forms. . Same Lord Śrī Rāma transformed himself into various forms and also into four armed Vishnu for sustenance of the universe. There is none in whole universe who is beyond Lord Śrī Rāma. Lord Śrī Rāma is higher than even the highest which means Śrī Rāma is the only person (Purusa) who is superior than himself. So lord Śrī Rāma comes himself in Treta-Yuga in his original Swayam-Rupa i.e. ultimate form of Para-Brahman, while in various incarnations he assumes different forms like of Matsya (divine fish), Varaha (divine boar), Vamana, Narsimha (half man-half lion), Sri Krishna etc. Of the various avatar, Sri RAmavatara is unique and highly glorious. While the earlier avatars only served a limited purpose, namely subduing the wicked and protecting the good, the main purpose of Ramavatara is Dharma-Samsthapana. Its uniqueness lies in the fact that the Lord chose the role of a man - an ideal human. The glory of the Ramavatar is the demonstration that the dharmic way of life could be lived by all in thought, word and deed, under all conditions and circumstances. तस्माद्रामायणं देवि! वेद एव न संशयः ॥"
tasmādrāmāyaṇaṃ dēvi! vēda ēva na saṃśayaḥ ॥"
“When the Supreme Lord who is sought after and proclaimed by the Vedas was born as the son of Dasaratha, the Vedas became the Ramayana. The Ramayana is Vedas in action". Lord Śrī Rāma is the original Source of All Avatāras.